Maintaining the value and beauty of your vehicle is easy with First Class Paintless Dent Repair. With your convenience in mind, service can be performed at a participating Mercedes-Benz Dealership or other authorized repair facility, at your home, or at your place of business. 1Additional exclusions may apply. Please see your First Class Premium Protection Agreement or First Class Paintless Dent Repair Agreement for specific coverage details, limitations, and a complete list of exclusions. This website provides general information about the First Class Paintless Dent Repair product and should not be solely relied upon when purchasing coverage. Please refer to your product Agreement for details of terms, conditions, and specific coverage details, including limitations, exclusions, transferability and cancelability. Coverage may vary by state. This product may not be available in all states. This product is available at the time of vehicle sale or lease only. 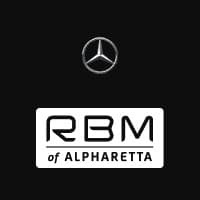 Please see your Mercedes-Benz dealer for more information.